The option to engage in credit repair is one that many consumers are wary of due to the numerous myths that surround this service. That is why we at AutoNet Financial have taken it upon ourselves to expose the most commonly heard legends about rebuilding credit scores. while showing how to better monitor and guard credit in the future. We all know those people who tried something and had it not work in their favor because of an factors that do not reflect back on the process or company. These same people are usually the ones who try to convince people with sub prime credit to not engage in credit repair tactics, because they did not originally work when they had utilized them. Now, we are not saying that you should not adhere to good advice about bad credit car loans or credit scores if it's being offered, but sometimes people are misinformed about how rebuilding credit works or simply utilized a flawed system. That is why we want to shine the light on a few things that the credit repair process is not and how it actually works. Expensive: One reason people think they shouldn't consider trying to rebuild their credit is because they believe that they have to pay a finance company loads of money to start the process. This of course is far from the truth as there are plenty of DIY methods for improving a bad credit score that you can find online and won't cost you a dime. A Fast Process: Another reason why some people bad mouth the credit repair services that are offered is because they take longer than originally thought. In some cases this is the result of false promises by corporation, but it can also be due to some people not being patient. It is much easier to tarnish a credit rating than it is to bring back a poor credit from a low point, which is why patience and diligence are key factors to making credit repair successful. Perfect: Even though most of the major credit repair companies are very good at assisting the consumers they work with there still are limitations in place. For example, a repair service can not legally have any of the three major credit bureaus remove negative marks on your credit report. 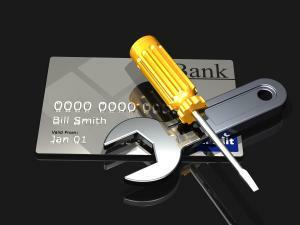 They also can not provide instant results or make any alterations to your credit report. There are a few things that credit repair is not, but there are still plenty of benefits that can be seen from going through this process. The most obvious is an improved credit score, which can then lead to easier ways to get approved for auto financing and other loans down the road. In some instances a good credit rating can also be key to landing your ideal job or even moving into the perfect home as well. So if you want to undertake the credit repair process we at AutoNetFinancial.com can offer you plenty of advice or you can track down a specialized credit repair service that can assist you today. Here at AutoNet Financial we help provide the best bad credit auto loan opportunities for people that earn over $1,500 per month, regardless of how long they have been on the job. We also offer helpful advice on local loan companies, credit monitoring and repair, and tips for a great auto financing lifestyle that well help you finance a vehicle today.